← Have Fun in the Sun! 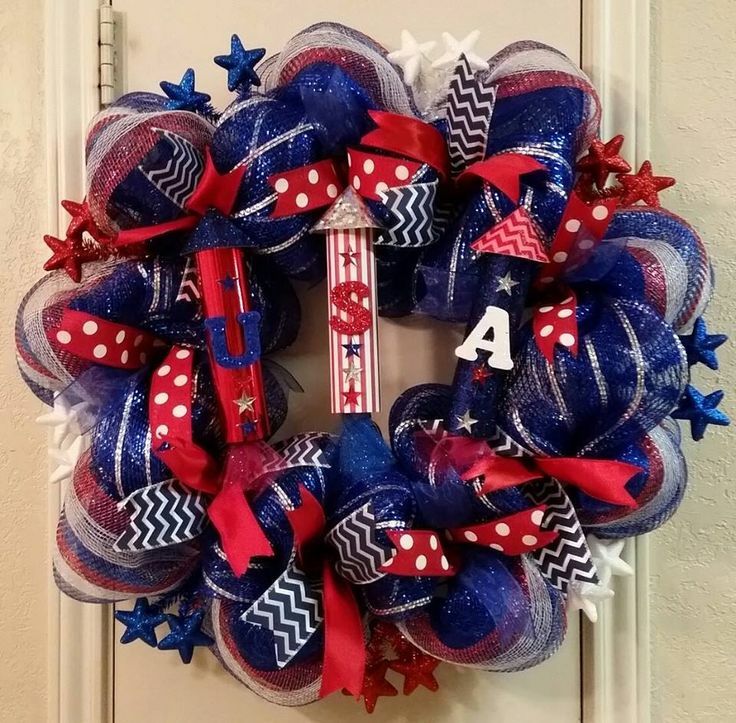 For your Patriotic event or the 4th of July we can help you with custom decorations and supplies such as metallic blue ribbon, metallic red mesh ribbon, or red white and blue netting including custom made wreaths. 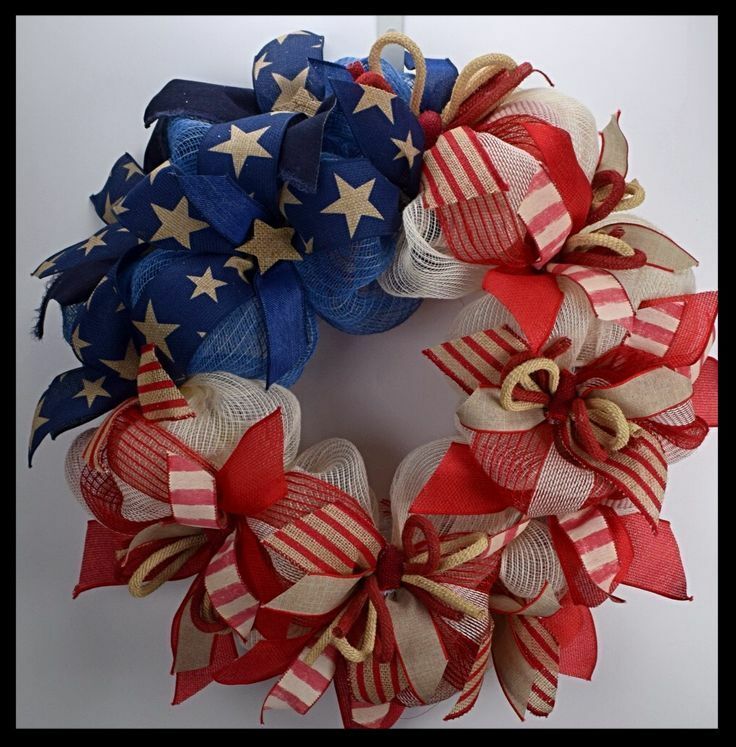 Please browse our large selection of mesh ribbon and mesh netting which comes in a variety of Patriotic colors. 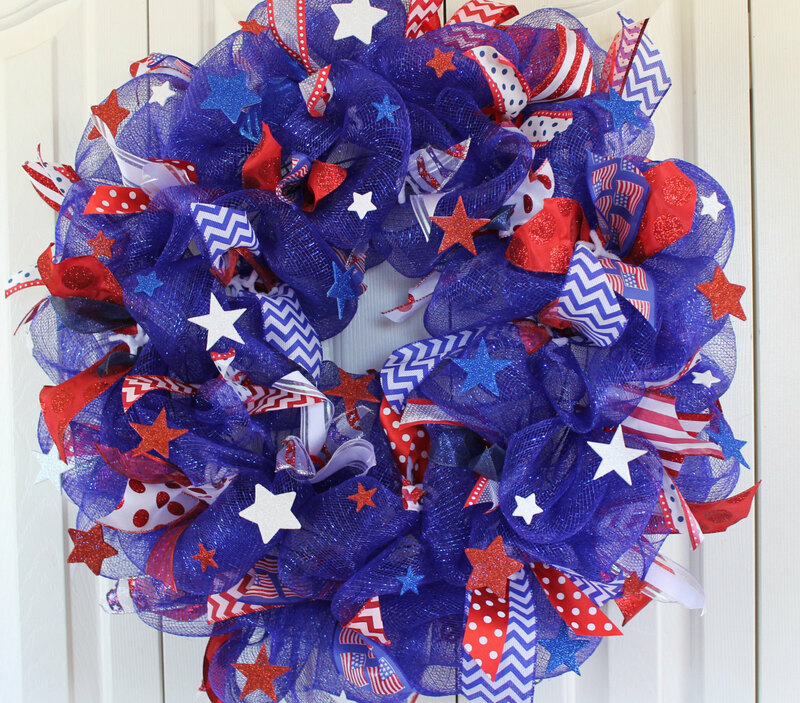 You can order your custom made wreath starting at $39.99 in any size and colors you prefer. 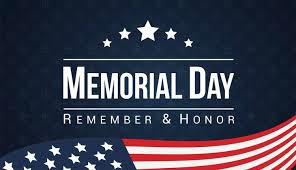 Below are some designs for your consideration. 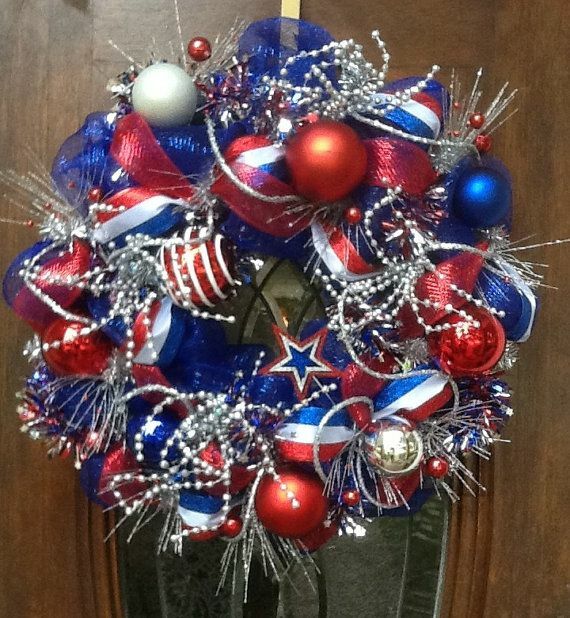 Stop by and order your wreath today at reasonable prices!